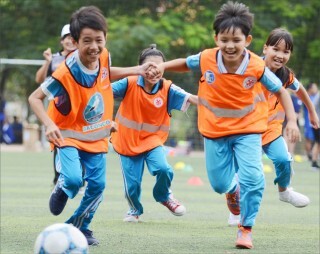 Founded in 2005, the community football club of Thuy Phu Secondary School (Huong Thuy Town) initially encountered many difficulties as the number of participants was low. However, after a short time, the students and parents gradually realized the benefits of these activities, so the number of students registering to join the club has increased. Representing the beauty of Hue through art, the young artist group "Hue Ta" (Our Hue) has not only created their own creative playground but has also brought artworks closer to the public. Tag: Hue, paintings, artist group, "Hue Ta"
Introducing to the public new creations with many special features, the 3rd young art exhibition - 2018 has gradually affirmed its place as a professional space dedicated to young artists. 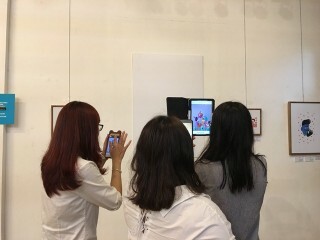 The exhibition is a combination of 12 artists from different disciplines, such as the Paris Playground Graphic Design Studio, the Annecy photographer and director Romain Laurent (who is famous for his unique GIF files), the French director Emmanuel Cossu, the British cartoonist Jon Burgerman, etc.